Boyfriend jeans were the trend of the spring, but now that it is almost summer, it is time to try a shorter “boy” style. 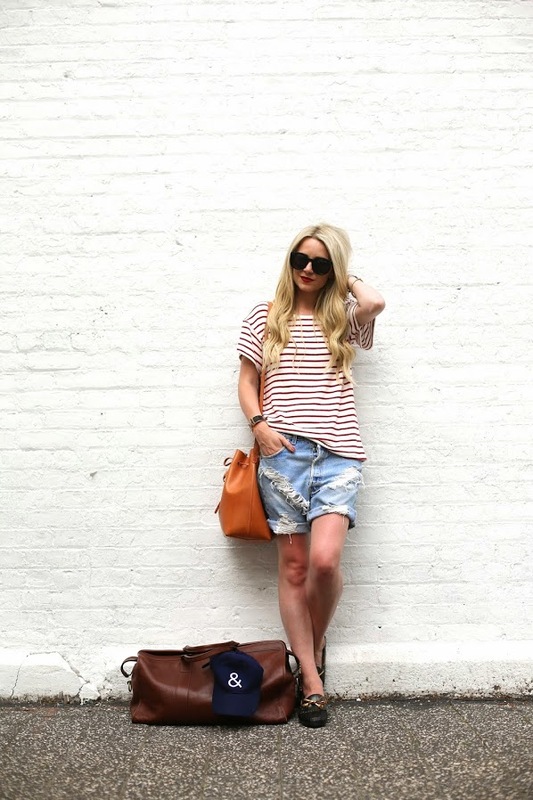 You can still get that laid-back “borrowed from my boyfriend” look in a pair of boyfriend shorts. You might be unsure about this trend at first, because when they aren’t styled right they can look like mom jeans, but once you learn how to style them, boyfriend shorts can actually be really cute and even edgy. And speaking of oversized, 2015 hot season is screaming at us to ditch the tight cutoffs, which can look a bit tacky at times, for more baggy versions, boyfriend styles, oversized in all lengths, colors, ripped or not, DIY or not. The bigger the better. If you want to create sporty looks combine tennis shoes, chucks, sneakers + T-shirt, tank top, sweatshirt, bomber jacket, baseball cap. For boho-chic look which is irresistible and summer-friendly combine brown ankle boots, flip flips, slides, espadrilles, sandals + bustier tops, cropped tees, lace bohemian tops, kimonos, fringe, head-pieces. If you opt for sophisticated glam look you know the formula: heels + bling + loose tops, bold lips. Enjoy in these 16 Edgy Oufit Ideas with Boyfriend jeans.